I really like Google's example tour of the Grand Canyon that was produced to introduce the new features in the Google Earth plugin, except for the fact that the tour had no sound. 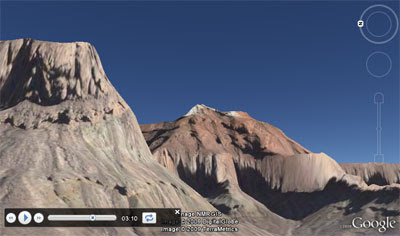 I think the new option to include sound in a Google Earth plugin tour is a very powerful tool. I therefore decided to reproduce the tour with sound. In this version of the Grand Canyon tour narration is provided by Scott Carrier. The narration comes from a podcast by The Nature Conservancy.